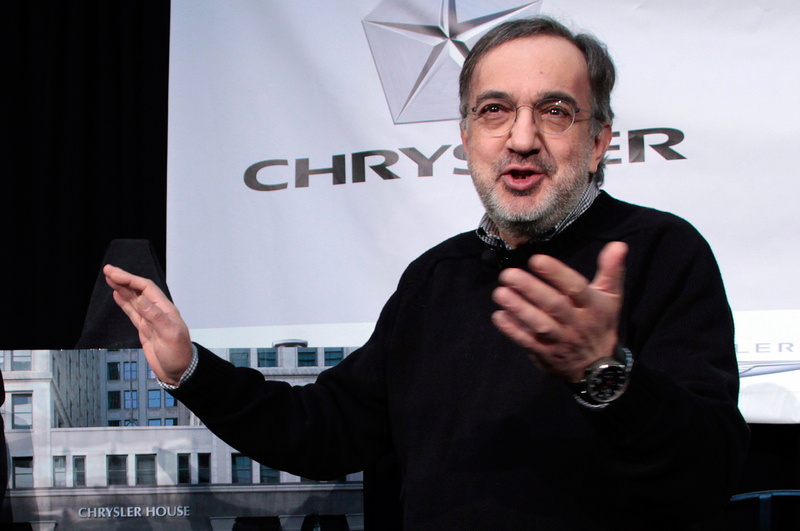 Perhaps Marchionne is Right: Is it Time to Consolidate Automakers? / Features / Opinion / Motor City Blogman / Perhaps Marchionne is Right: Is it Time to Consolidate Automakers? 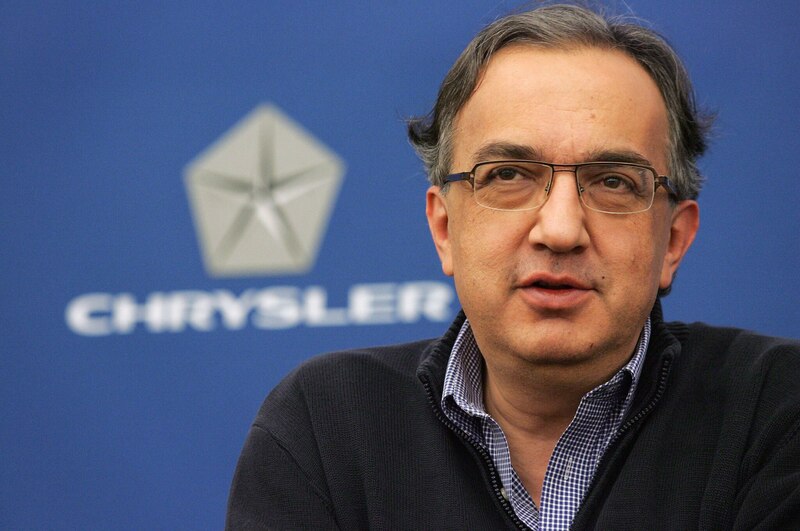 Fiat Chrysler CEO Sergio Marchionne emailed General Motors CEO Mary Barra in March with a proposal to consolidate the two automakers, The New York Times business section reported last Sunday. Never mind that something like that almost happened after the government pulled the two automakers into bankruptcy reorganization, but Marchionne stepped in and folded Chrysler into Fiat instead. He can’t have regrets about that deal; Chrysler has since saved Fiat, largely thanks to the economic success of the Jeep brand. Barra (below) “flatly refused to discuss it with him,” The Times says of that March email. If Barra had been more receptive, the outcome would have been much like what would have happened six years earlier: GM would own Jeep. In the 2015 merger paradigm, GM also would own Ram, for a three-brand truck powerhouse to take on Ford’s primacy in the segment. (Back in ’09, Rams were still Dodge trucks.) Marchionne went public in a call with Wall Street analysts on the company’s first-quarter results with his belief that the auto industry as we know it will survive only if the companies consolidate and share platforms. 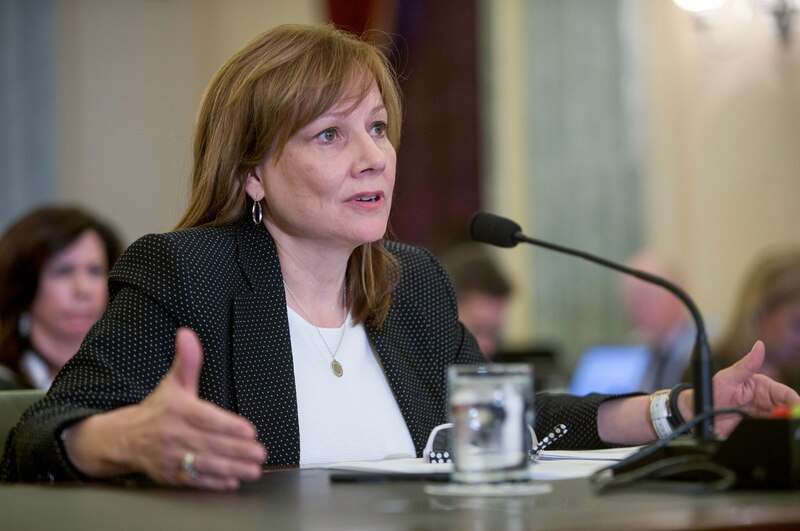 GM is the wrong company for FCA, of course. By the time of those 2009 bankruptcies, GM already had shed itself of Oldsmobile, and since then it has cut Pontiac, Saturn, Saab, and Hummer (while adding Wuling, Jiefang, and Baojun to its stable). It’s in GM’s nature to acquire and build brands — that’s how William Crapo Durant and later Alfred P. Sloan intended to compete with foes such as Ford Motor Company. But there would be no reason for GM to hold on to Chrysler (competing with Buick and fancy Chevys), Dodge (Pontiac), Fiat (small cars selling well only regionally), or Alfa Romeo (requires boatloads of cash to develop new product). Volkswagen AG has long pursued Alfa Romeo as a more romantic brand to potentially replace its long-ailing Spanish division, Seat, but the main instigator of that plan, Ferdinand Piech, is out of the picture for now. Though it sells more cars than GM and is trying to catch the world’s No. 1 automaker, Toyota, VW is in a worse position than General Motors to sign some sort of deal (bigger than a platform-sharing program at least) with FCA. Then there’s China. Chrysler was one of the first Western automakers into the market but fell behind despite a partnership with GAC Group, just as so many other companies look to save themselves by plunging head first into the world’s largest market. Warren Buffet-backed BYD, Geely, which purchased Volvo from Ford in 2010, or a smaller company named Zoyte all are good partnership candidates, says analyst Sam Fiorani of AutoForecast Solutions. All this talk of China as savior points back to the initial problem: the high cost of developing new models as too many players jockey for position. Even Jaguar Land Rover, a big moneymaker since Tata Motors bought it, saw its profits plunge 33 percent in the first quarter of this year. Autoline Daily cites “mainly falling sales in China,” though spending the equivalent of $4.7 billion on new plant capacity and vehicles (namely the all-important XE) certainly had an effect. China’s new car demand is a very tricky thing. It has dropped off several times in the last decade, only to have the central government trigger incentives that lifted the market back up to its buy-anything-with-wheels frenzy. Meanwhile, U.S. sales have grown from a low of 10.4 million in 2009 to about 16.8 million in 2014. But those are the statistics of a mature market (Western Europe is roughly the same size as ours). The U.S. market first breached 10 million sales in 1965 (10.9 million). While it could go as high as 17 million this year, that will still be short of the record 17.8 million in 2000 (all numbers sourced from WardsAuto.com). The sad fact is there are too many competitors spending far too much money to sell low-margin commodity cars. Far too many brands are also competing in the premium and luxury markets, though at least these segments have healthy margins. And thanks to income growth that has been on the upside of the wealth disparity, premium/luxury car sales are increasing at a much greater rate than commodity segments. The balance between various forms of transportation is leveling in congested metropolitan areas in the West, and much of the growth in the auto industry in the coming decades will come from India, China and other emerging markets. I don’t think demand from millennials will be much lower than what it has been for older generations, but I don’t think the U.S. is going to break that 15-year-old record of 17.8 million units very soon, either. Meanwhile, China’s state-run and state-supported automakers will continue to absorb struggling Western brands as the strongest automakers there eventually go global. So Sergio Marchionne is right: The global market cannot sustain so many capital-intensive mainstream automakers, all of them designing and building their own platforms and powertrains. The question is: Who is ready to team up with Fiat Chrysler?